We have big experience for packing and loading container so that we can pack and load nicely. Please check other photos on website if you are interested. 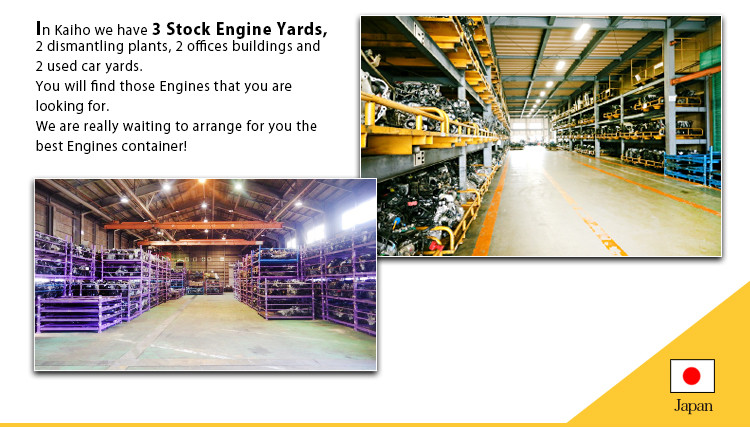 We have a daily stock of about 2,000 used enginges. Also used tires, used wheels, used radiator, used mirrors, used glasses, used switch knobs and used whole lots more used parts are available. 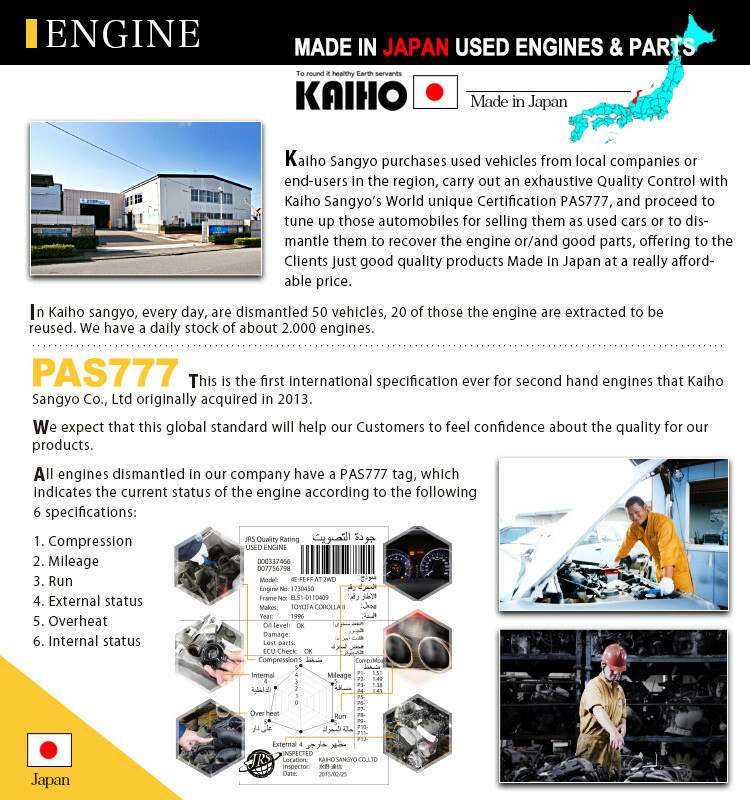 Nowadays, the exported Japanese used engines are not inspected and are distributed to the market without ranging their quality and degradation. 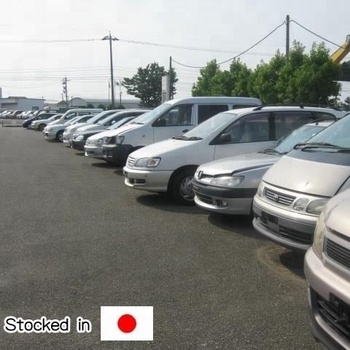 The price of a used engine was decided by its appearance and without any quality control. 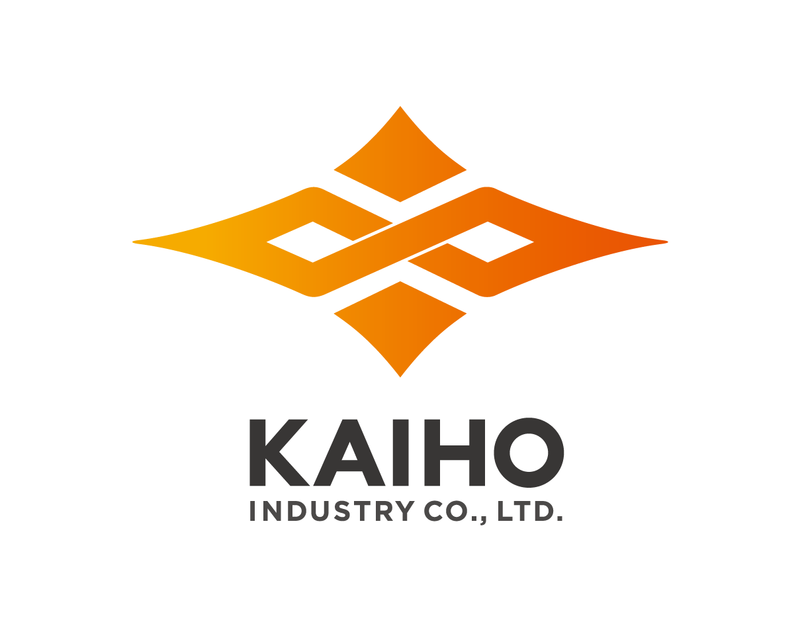 Kaiho sangyo went through the problem and has created the International Standard "PAS777" to provide to our Customers security and relief when purchasing. We guarantee safety and commitment to our constumer while contributing to the glogal environment through the re-use of used cars, used engines and used auto parts. 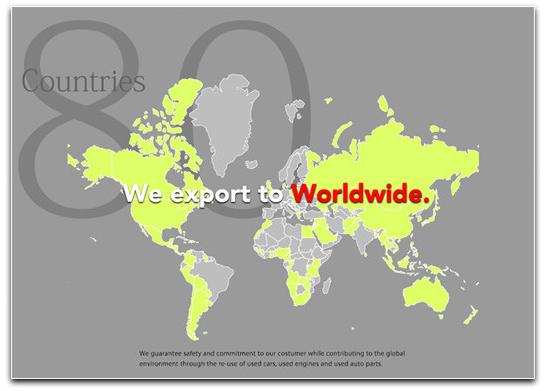 We export more than 2,000 engines annually to over 80 countries, with a subsidiary KAIHO MIDDLE EAST (FZE) in Unaited Arab Emirates and Joint Ventures in Thailand, Kenya, Nigeria, and Ghana.